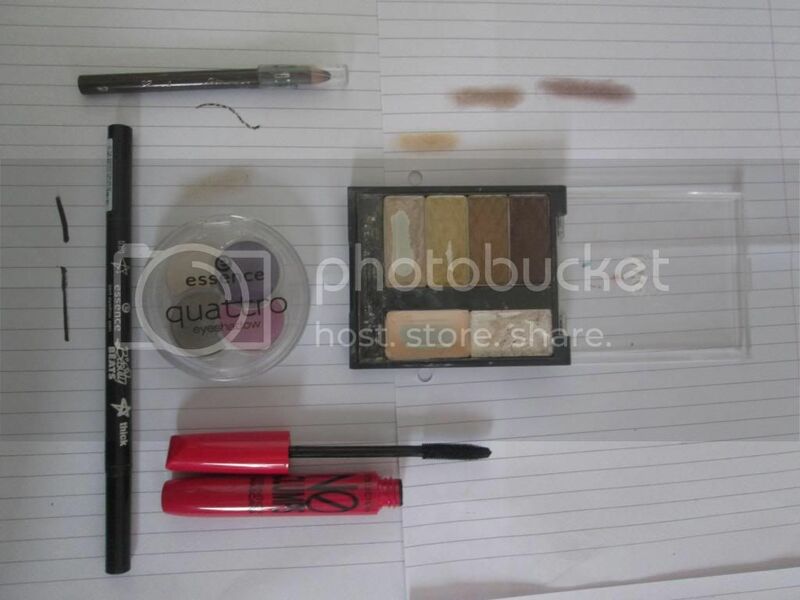 Today I'm showing you's how I do my makeup each day when I go to school. It's quite neutral but I do tend to add in the odd pop of colour such as the pink lips. I'll be the first to say that I am a professional procrastinator so makeup takes way longer than it should in the morning - A good day when procrastinating is minimum means fifteen minutes spent doing makeup, Again way way way way way too long. To see the video I uploaded on my YouTube of applying this makeup click here. These are all the products I use. 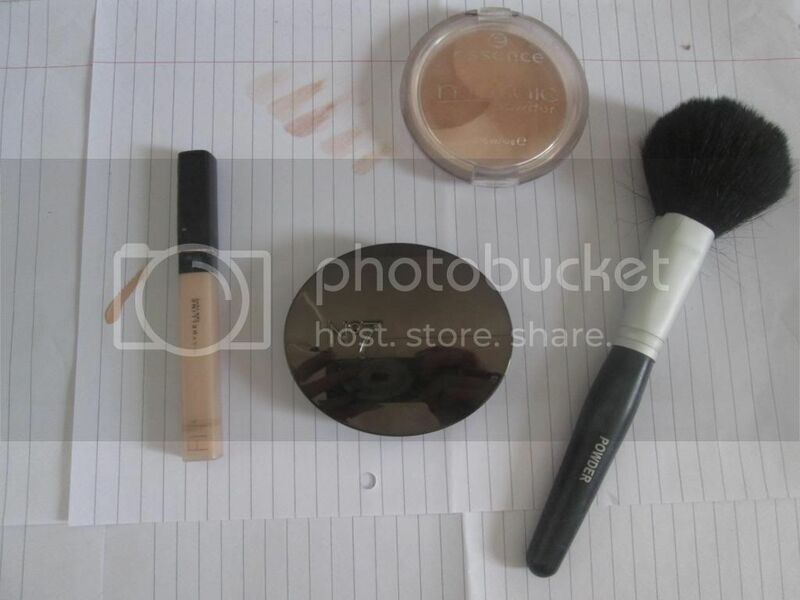 I wear the bare minimum of concealer, I mainly use it to reduce the obviousness of spots and dark circles under my eyes and then I finish it off with powder and a bit of bronzer around my nose. My eye makeup is also pretty basic to a certain extent. I begin by priming my eyes and then I fill in the ends of my brows since they are far too scarce than I'd prefer them to be. I then highlight my inner corners and browbone using a white eyeshadow which isn't pictured here. I wear eyeshadow that matches my skin colour all over my eyelid and then a light brown in the crease. Lately I've been wearing burgundy on my outer waterline. I finish with a thin line of black eyeliner which is slightly winged and I'm finally back to wearing mascara ! For ages I've been replacing it with eyeliner instead as I don't like my lashes to look like spider legs. 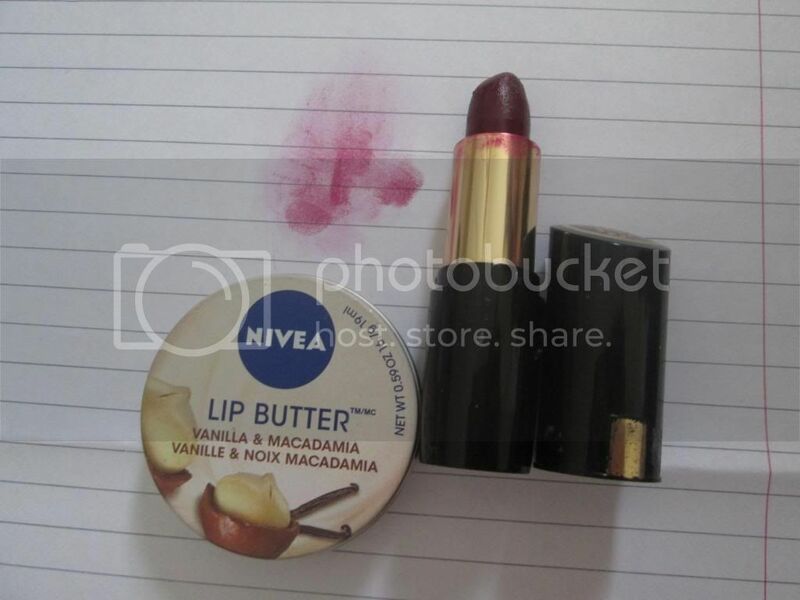 Because I love colour so much I can't just leave my lips 'au natural' so I wear a very light layer of berry lipstick. As I don't wear much of it, The colour usually fades throughout the day so it is barely noticable.